Some years ago I jotted down notes for an essay provisionally entitled, “Telling Stories: Irish Famine orphans in Australia”. Here’s a small extract: I was jotting down things at random. It soon became apparent there were a number of interesting historiographical issues to confront. How should we fill in the silences and the gaps in our orphans’ stories? What do we know about these family photographs? Are they authentic? How can we test and verify oral testimony, family stories and the like? Were these women ‘pioneers’ or is this word too value-laden, too triumphalist? Perhaps ‘female white settler’ is a better, more ‘neutral’ description. What was these women’s relationship with Aboriginal people, one of the most common gaps or silences in family histories? Fiction it may be, but Kate Grenville’s Secret River at least addresses this shortcoming. How exactly should we flesh out the historical context of the orphans’ lives in Australia? How might we take account of changing historical circumstances during the nineteenth century and beyond? How did they cope with illness? What was their material life–their dress, their dwelling, their work and their economic condition? How are we to ‘situate’ them in a particular place? What do we know about their emotional makeup, their relationship with their spouses, their children and their grandchildren, and their friends and neighbours? And if we have no direct evidence of any of this, should we make a guess? And how then, should we decide whether that guess was an informed guess, a starry-eyed guess or pure fiction? I did set the project aside, thinking, ‘Get a grip’, that’s far too serious; it will discourage anyone thinking of writing their orphan history. You can imagine how pleased I was to see two recent books that addressed some of these concerns. The first is by Libby Connors. Her Warrior was launched a month or two ago. It’s about a great Aboriginal leader, Dundalli (Wonga Pigeon). I’m very much an admirer of Libby’s sense of justice, and her extraordinary ability to see things from both an Aboriginal and European perspective. The second is by Tanya Evans. Her Fractured Families was launched last week (June 2015). Focussing on the Benevolent Society of New South Wales, Tanya has worked closely with family historians. I’m really looking forward to reading it. I suspect she’ll make me reconsider what I said in an earlier post about orphans’ ‘success’ and whether coming to Australia was the best thing they could have done. If you go to www.amazon.com you can sample excerpts from both books. Just go to ‘Books’ and type in the author’s name and click on their book. May I suggest you ask your local library to acquire a copy or two? Good historians need all the encouragement they can get. Let me upload some orphan photographs descendants kindly sent me some time in the past; a new generation of descendants may be interested to have them. I’ve accepted these at face value, knowing how difficult it can be to authenticate and describe the provenance of every family photograph in one’s possession. I recently inherited a collection of photos from family members, myself, only to realize I have no idea who most of the subjects are. There are sites such as www.myheritage.com/old-family-photos that may help. But I’ve never used any of them. I do understand that family historians are very creative when it comes to pursuing their history. The very long view provided by DNA analysis looks fascinating. I’ve even had a Canadian friend find distant relatives by studying photographs and identifying common physical features. So, if someone wants to look at orphan photographs and see profound sadness in their eyes, or put words into their mouths, I have seen things I’ll never forget, and will never tell you, it’s not for me to say, you can’t do that. 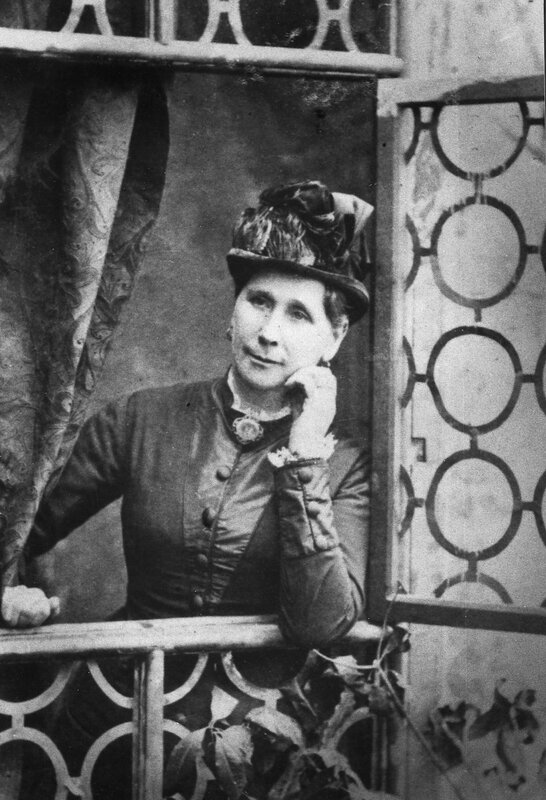 The first photographs are of Bridget Hartigan (1834-1914), originally from Newmarket in County Clare. I received them from Roy Dunstan many moons ago. They tell a story in themselves. Bridget was one of the Thomas Arbuthnot orphans who travelled overland with Surgeon Strutt and was hired out at Yass. She had the gumption to complain about her treatment at the hands of her employer, and to marry twice. She is pictured here with her second husband William Hine, a miner at Vaughan, and later a successful newspaper owner. I must confess this middle one looks like it’s been extracted from the one below. This next is of Catherine Kean also from County Clare and also by the Thomas Arbuthnot. Sometimes details of where the photograph was taken can help authenticate it and tell us more about its provenance. Catherine married Michael Featherston whose brother Luke also married a Famine orphan, Maria McDermot per Lady Peel. 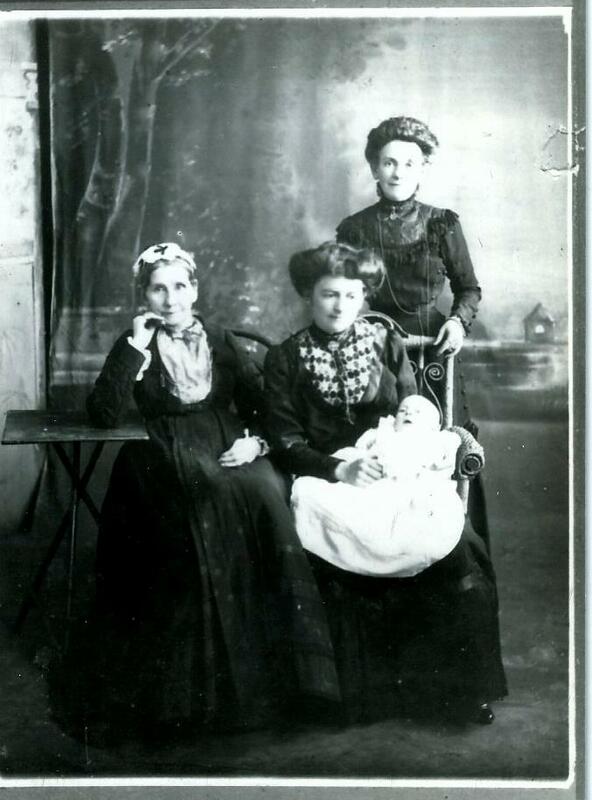 Mary Casserly or Cassidy from Longford with her daughter Rosanna c. 1885. Mary daughter of Patrick Cassidy and Ann Skelly came from Newtowncashel, in Longford. She was baptised 4 February 1833 and died near Reefton on the South Island of New Zealand in 1895. Her name is on the Irish Famine Monument in Sydney as Mary Casserly. Painting of Margaret Driscoll from Cork per John Knox. 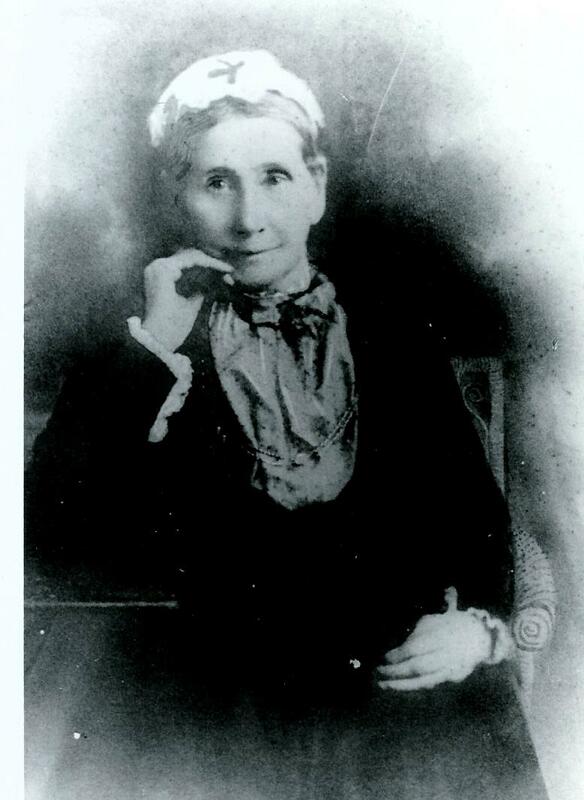 She married Henry Hill in Berrima in 1862 and died in Newtown, Sydney aged 74. Large numbers attended the funeral for this “prominent Catholic woman”. Mary Kenny from Castlecomer, Co. Kilkenny per Lismoyne. Mary Kenny’s photograph was sent to me for volume one of Barefoot way back in the late 1980s. Mary married Henry Johnson a sailmaker, later a lighthouse keeper at South Head in Sydney. I do have some more pics but I’ll keep them for another time. If anyone does have a photograph they would like me to upload, please feel free to send a copy. That should be enough for now. Let me get back to wrestling with the reasons for the Earl Grey scheme coming to an end. It looks simple enough; a clamouring opposition in colonial Australia and embarrassing questions in the House of Commons in England was enough to finish it off. But I suspect there is more to it than this. This entry was tagged Bridget Hartigan, Catherine Kean, Diadem, Earl Grey orphans, Famine orphan photographs, Fractured Families, Libby Connors, Lismoyne, Margaret Driscoll, Mary Anne McMaster, Mary Casserly or Cassidy, Mary Kenny, Secret River, Tanya Evans, Warrior, Writing family history. Bookmark the permalink. Thanks for sharing the photos and for such an informative site. I wish there was a photo of my Irish Orphan Girl, but I don’t think there was ever one taken. She was my 4x great grandmother Johanna McCarthy, who arrived on the John Knox in 1850. In 1851 she married John Crow/e, an ex convict, in Bathurst. They went on to have 9 children, including my 3x great grandmother Elizabeth Claire Crowe in 1852. 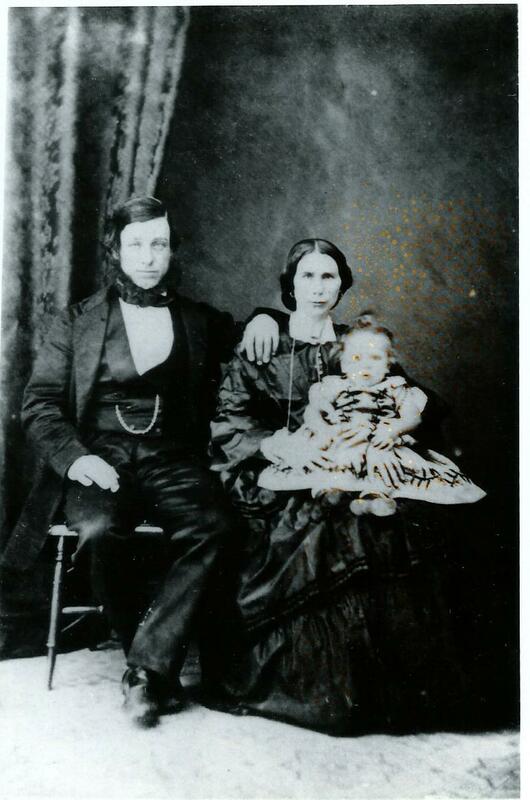 Sadly Johanna died in childbirth at only 35, near Cargo NSW while working as a shepherdess. I was pleased to see the photo of Mary Ann McMaster. She is my husband’s GG grandmother. At the age of 17 she married John Reeves in Tasmania and had 12 children. One son Thomas became Champion Axeman of the Colonies. We have been unable to track her in Armagh so don’t know details of her parents, we can’t find her father even though his name was given as Joseph in her records. We are hoping genetic genealogy may help in this regard, so would encourage any other descendants to test with either 23andme or FamilyTreeDNA. It was great to meet Perry recently at the genealogy conference in Canberra. You have both done so much to bring this area to life, many thanks. Hi Trevor, am enjoying this site. My Irish orphan girl is Margaret Galvin who left Tipperary and came on the Pemberton to Hobsons Bay (Port Phillip). Not a lot is said about the Pemberton or it’s passengers. 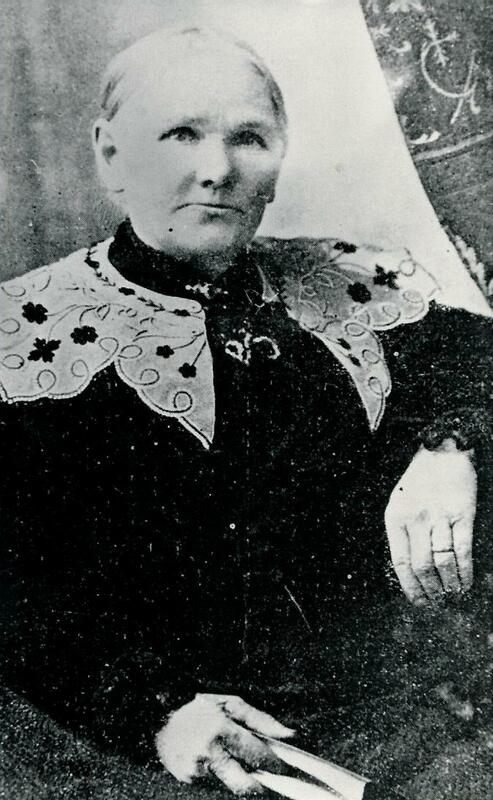 She married an ex-convict then lived in South Morang and had 11 children. I have joined the Whittlesea Historical Society to find out more. Love the information in your site. Hi Trevor, I loved the photos. If only they could talk. 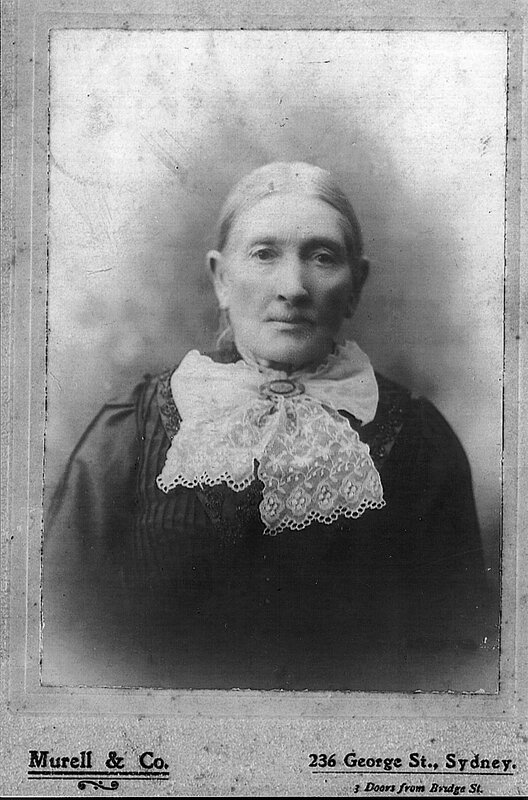 I have added a photo of my husband’s Great grandmother. Her mother Mary Ann Keely came on the Thomas Arbuthnot and her name appears on the Memorial to the Irish Orphans. The photo is of a painting of Francis Mary Agnes Edwards her daughter. The painting is done from a 2″x4″ photo B/W. On the back is written Dress B Hair B Eyes B Complexion F. I have the painting in a 12″x16″ gold frame. Absolutely beautiful. The group photo, which is of poor standard, is the daughter of Mary Ann Edwards nee Keely b 1833, Gorteen Galway Ireland, d 24 Oct 1891, Forbes NSW. Francis Mary Agnes Murray nee Edwards (1854-1926) on right. Grandaughter Frances Josephine Bean nee Murray (1878-1946) on left. Great Grandaughter Frances Mary Agnes Coulter nee Bean (1901-1983) in back. Great Great Granddaughter Gloria Elaine Coulter (1923- ) in front. Four Generations. I only wish it was of good quality. Thanks very much Estelle. It’s a pity about the quality of your group photo. Do you have any other information about it, where it was taken, when? Still, lovely to have such a thing. I see you have the same name as the woman who organised “Belfast Girls” at the Artemisia theatre in Chicago. My local library has both books. Earl Grey's Irish Famine Orphans (15): "Belfast Girls"